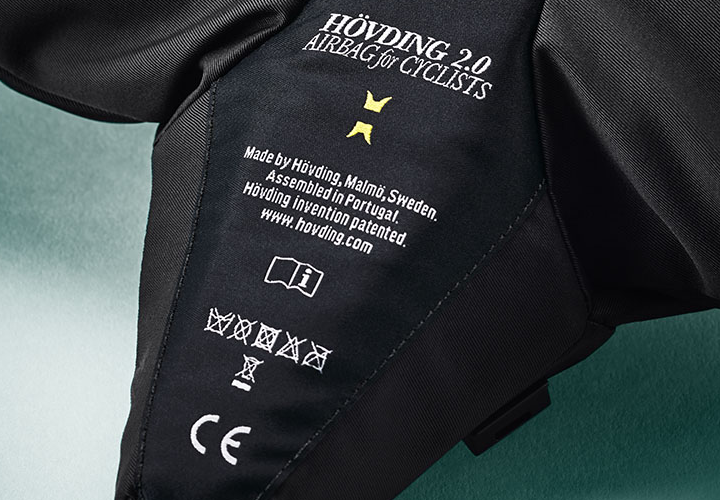 Hövding is the world’s first airbag for cyclists and is the result of intensive research since 2005. Through advanced sensors, Hövding can sense the cyclist’s movement patterns and will react in case of an accident. 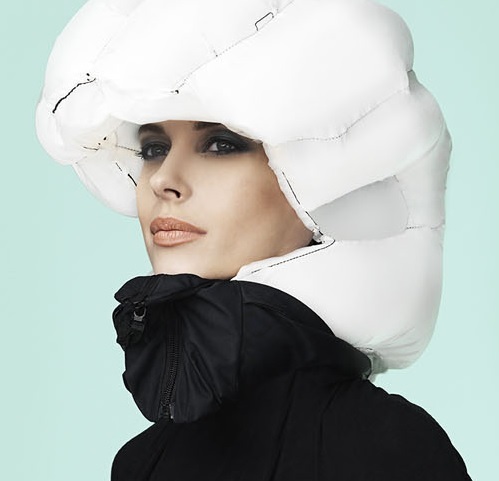 The unique airbag will then inflate, fixate your neck and provide the world’s best shock absorption. When turned on, Hövding records the cyclist’s movements 200 times a second. 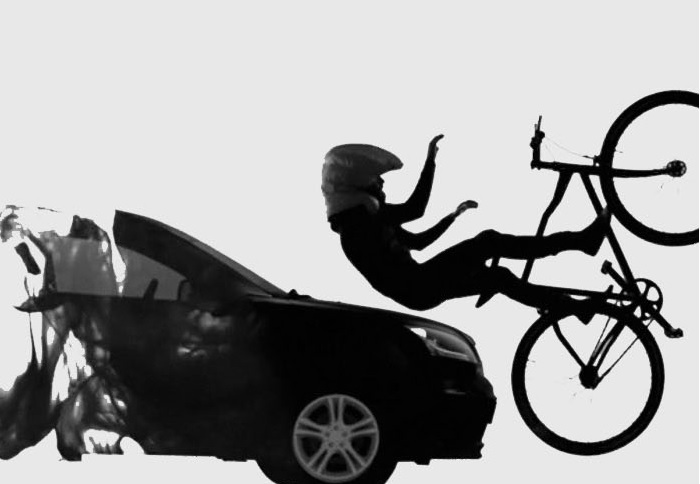 In the event of an accident, the cyclist’s abnormal movement is detected and the airbag inflates. 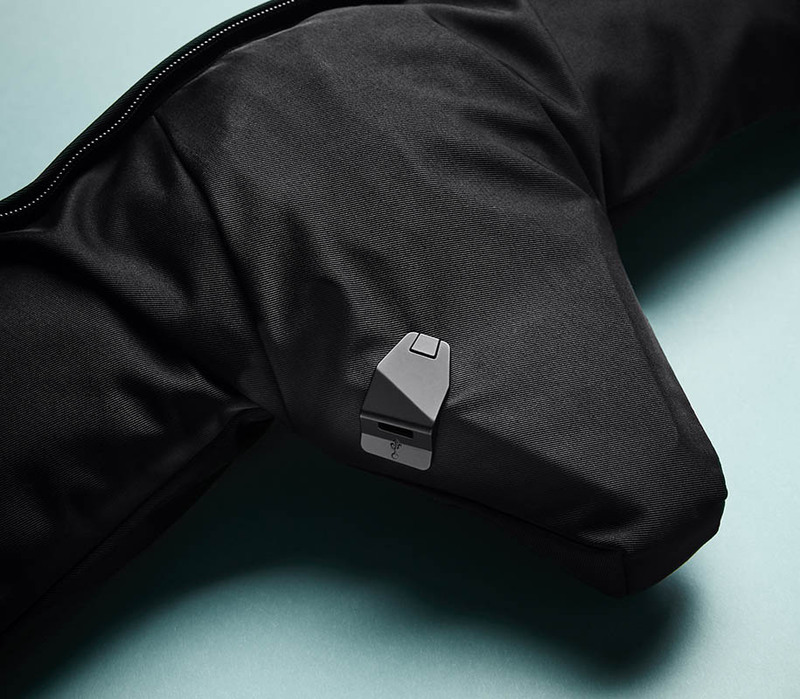 The airbag is designed like a hood and made in an ultra-strong nylon fabric that won’t rip when scraped against the ground. Hövding protects nearly all of the head, while leaving the field of vision open. 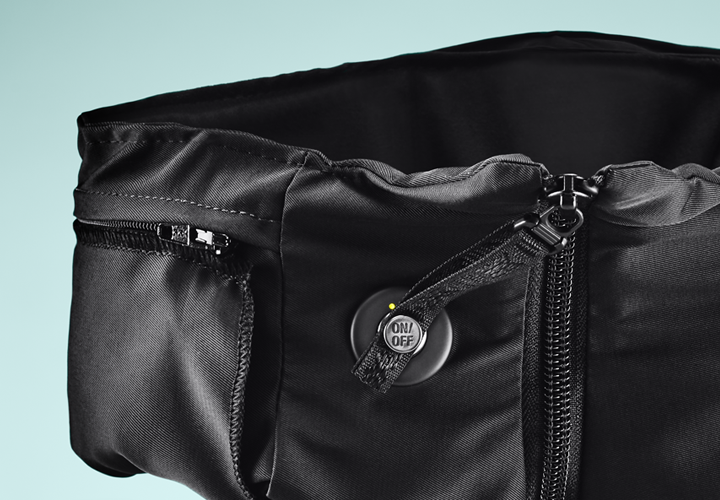 The gas inflator that inflates the airbag is placed in a holder in the collar on the cyclist’s back. Hövding’s gas inflator is a so called cold gas inflator that uses helium. In the highly unusual category of cycling accident where no measurable movement appears within the cyclist, i.e. if an object falls from above straight down on the cyclist’s head, Hövding will not react. To put on your Hövding, place it around your neck and pull the zip up under your chin. The zip needs to be completely closed for the collar to work correctly. 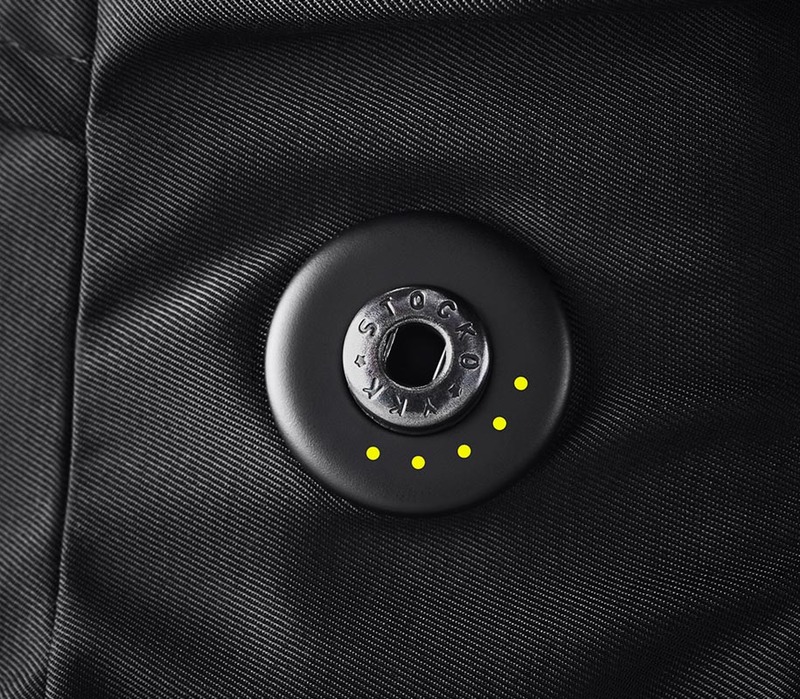 There is an on/off switch on the zip tag that activates Hövding when it’s attached to the right-hand side of the collar. Similarly, Hövding is turned off when you unclip the on/off button. Hövding’s battery is easily charged through a computer using the USB cable included, when LEDs and a sound indicate that the battery is low (after about 9 hours of cycling). The collar is made of waterproof functional fabric that provides the best possible protection for the built-in airbag system. 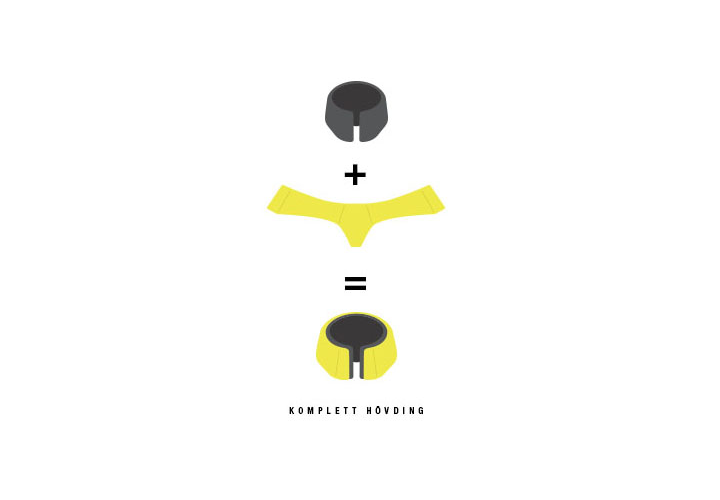 The collar isn’t washable but is protected from wear, sweat and dirt by the surrounding fabric shell. Any marks on the collar can be rubbed off carefully with a damp cloth. Inside the collar there is a black box that records 10 seconds of data on the cyclist’s movement patterns from an accident. In some cases the data from an accident is interesting and valuable to us in our on-going development work. All types of helmets have to provide protection for the head in the form of shock absorption and force distribution in an accident. Complete protection in the event of an accident and functioning during normal use are basic criteria for CE marking. The helmet must also be designed so as to cause no unnecessary risks, i.e. there must be no sharp edges, etc. which could injure the wearer. The environmental tolerance criteria for helmets dictate that they must be able to withstand moisture and work in heat and cold and when subjected to the sun’s ultraviolet light.